The Balvenie Rare Craft Collection. Rare craft, just like their whisky. I love Anthony Bourdain. He has the intellectual snarkiness that I adore. One time, he was riding on an escalator, and he mentioned that he hates people to think escalators are there to be lazy. One doesn’t have to move at all! They just stand, and they are carried! Nope, insists Bourdain, escalators are there to aid movement, not do all the work for you. You should still walk or climb, but you go faster with the aid of the escalator. I love that stuff. Funny and insightful, Bourdain is probably my favorite travel guy. In fact, before I even knew his name, I saw one of his shows, and it inspired my wife and I to try new things on one of our trips to Mexico. “Be the travel guy!” we kept telling each other. Like I said, I didn’t even know his name, and I was still trying to be him. 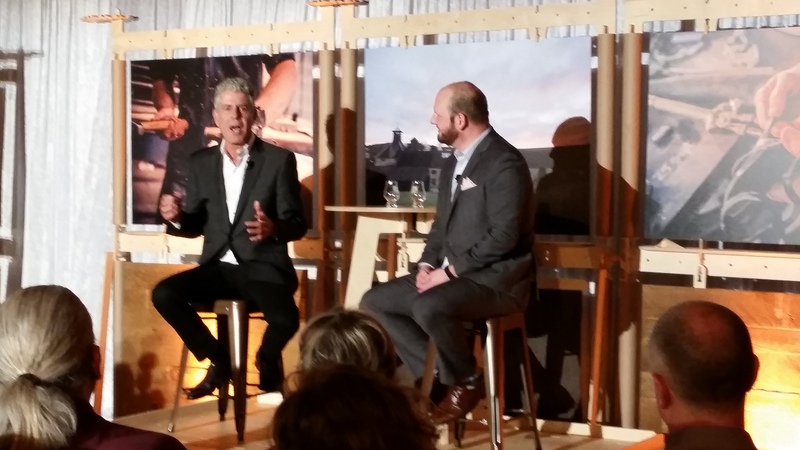 So when I get a chance to meet someone like Bourdain, I don’t hesitate. And if I get to try great whiskeys, too…well, that’s just bonus points. Huge bonus points, mind you, but really just bonuses. 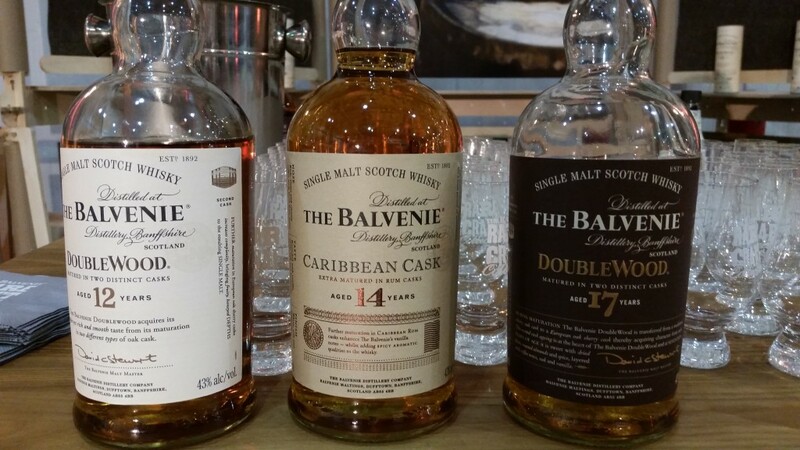 The Balvenie Rare Craft Collection is there to highlight the Balvenie itself. They are craftsmen following traditional principles to make what is, in fact, a superb scotch. 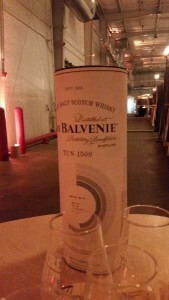 I must agree with their methods, too, because when it comes to scotch, it doesn’t get much better than the Balvenie. So what Balvenie did to show off their own traditional craftsmanship, is they had Anthony Bourdain curate an exhibit of other rare craftsmen. 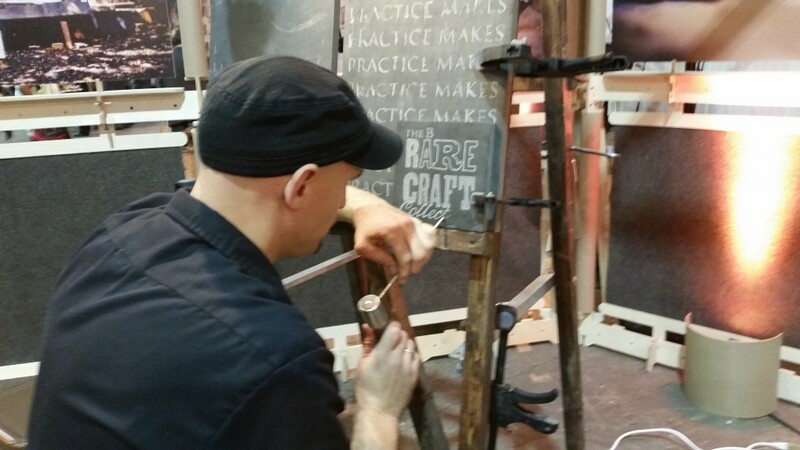 Meaning that they are true craftsmen, which is, in itself, rare. Just like the Balvenie. Enter the craftsmen(people): the family company that makes watches by hand to order. The woman who sculpts in metal. The man who forms whiskey barrels. The marble sculptor. The etcher in stone. These people are amazing. I have trouble believing that there are people who have such fantastic talents. Me, I’m good at drinking. I’m really good at drinking whisky (and whiskey!). And I’m awesome at drinking scotch. 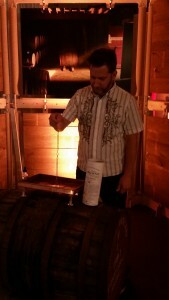 That’s me pulling my own dram. My dream job. 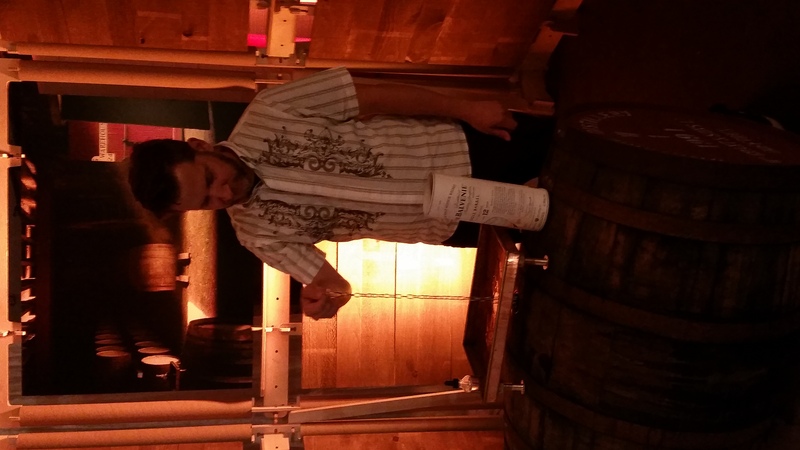 At this particular Balvenie event, we had the 12 year DoubleWood and the 14 year Caribbean Cask . Both are fine scotches. They’re the ones I have had before. But we also tried the 17 year DoubleWood, which was even sweeter, and the 12 year Single Barrel, which I pulled from a barrel myself (a gimmick, sure. They just refill them, after all. But still, it’s fun.). They also served the DoubleWood in a Prince Edward cocktail, another fine way to enjoy scotch. 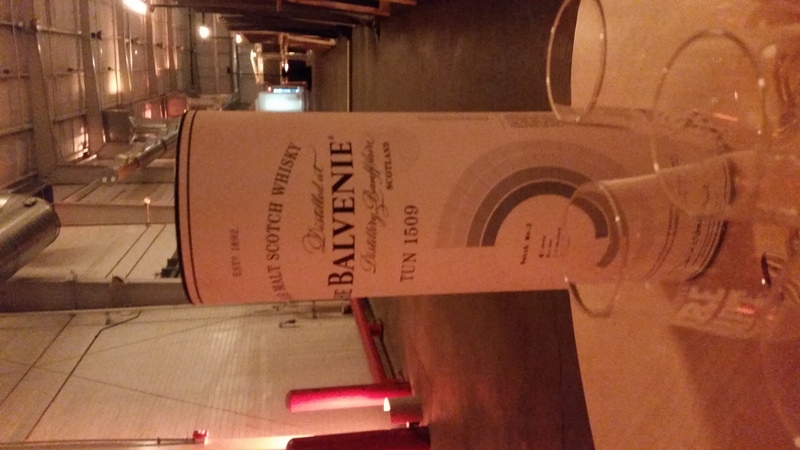 Tun 1509 from Balvenie. As Bourdain called it, the “nectar of the gods.” Hyperbole? Maybe not. I’m not sure about that, but I can imagine it. It was one of the smoothest yet most flavorful scotches I have ever had. Right up there with the Nikka. Except more powerful. Yes, it burned. It burned so good. Bourdain was cool, but the scotch was the highlight. Talking to the sculptor/etcher about how he does his work was really cool, too. But for me, just pour me a dram, and the night is all good. Anthony Bourdain waxing snarkily as usual. I will very much like to be awesome drinking whisky! Ha. Thanks! I’m not sure I’ve ever actually seen you drink whiskey, but I’m sure you would be awesome at it!